After an argument with staff about his luggage, a teenager collapse mid-flight, because he was wearing 12 layers of clothes. 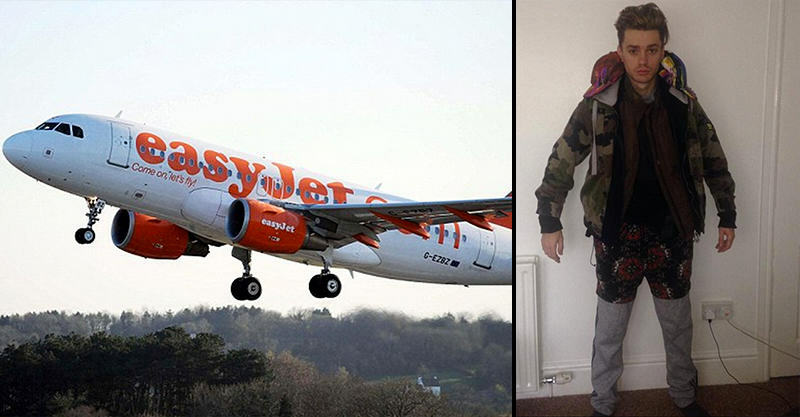 James McElvar, 19, got into an argument with Easyjet staff, after they told him he’d have to leave his excess luggage behind. 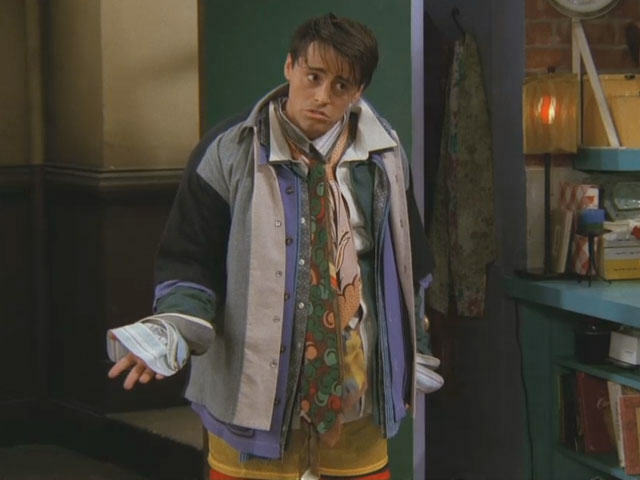 Determined to get the better of the budget airline’s rules, he pulled a Joey and put on all the clothes that he had in his bag, rather than pay a fee to take his bag on board. Four jumpers, three pairs of jeans, six t-shirts, two pairs of joggers, two coats, and two hats. James is in a band, and they were flying from Glasgow to London, when things started to go wrong for the lad. I thought I was a goner. It felt just like I was having a heart attack. I was so hot I felt I would pass out as soon as I boarded. An off-duty paramedic rushed to my aid and an oxygen tank was brought to me. Other passengers held my legs and arms to stop them shaking. After the plane landed, he was treated by paramedics and recovered, despite saying he felt lucky to be alive. It was probably pretty funny at first, until, you know, it nearly killed him.